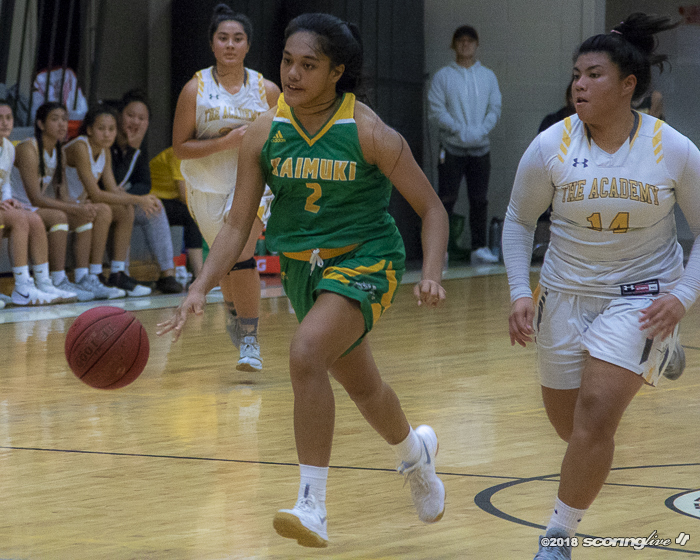 PALOLO — Te'Hiwa Medeiros scored 10 of her 14 points after halftime and Sade Mizusawa had 13 to lead Sacred Hearts to a 61-40 win over Kaimuki Friday night in the semifinals of The Invitational. 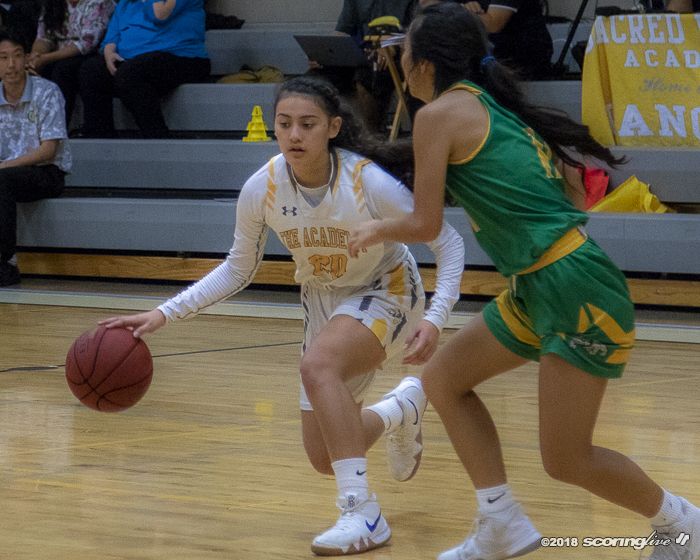 The Lancers (9-2) trailed for only 28 seconds early on and led the Bulldogs (6-4) by as many as 25 points early in the third quarter. 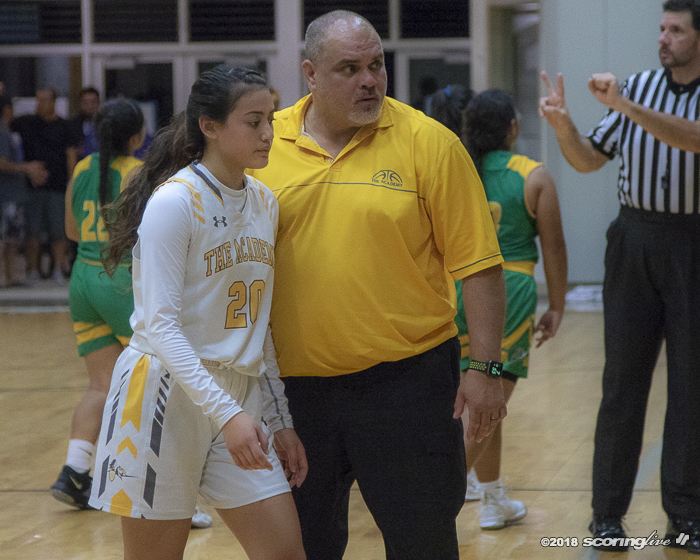 Medeiros scored 12 of her points in the paint — an area Sacred Hearts dominated in 38 to 10 — and grabbed a game-high eight rebounds. 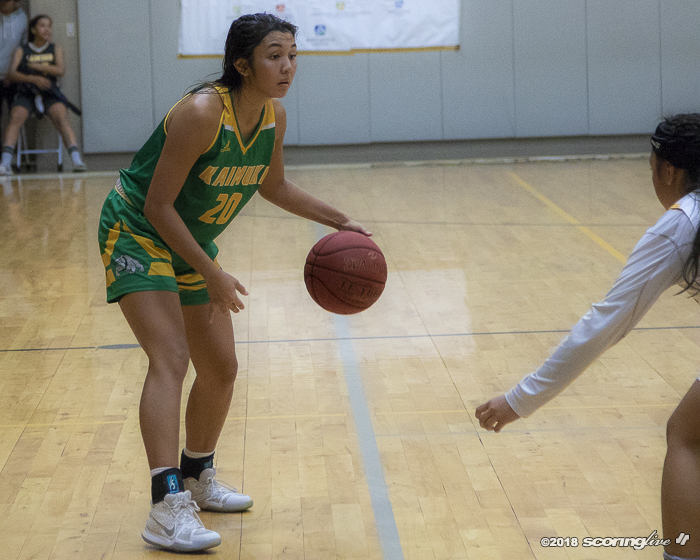 Mizusawa shot 5 of 8 from the field, including a pair of 3-pointers before halftime. 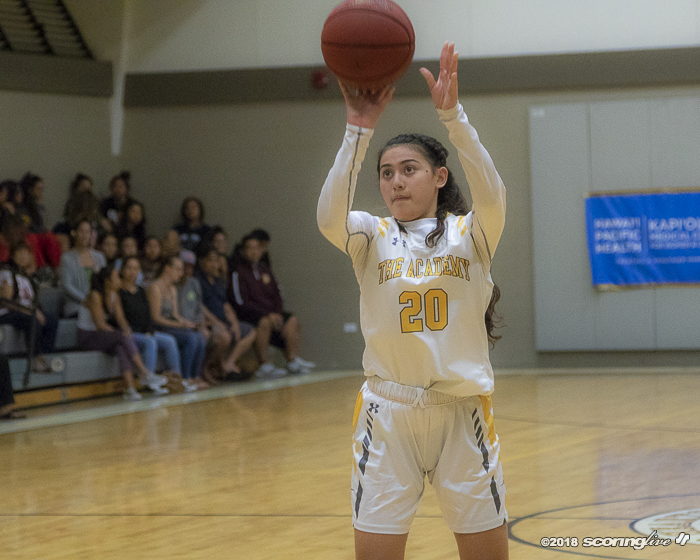 Kailyn Kupau was 5-of-6 shooting from the free-throw line and added nine points off the bench. 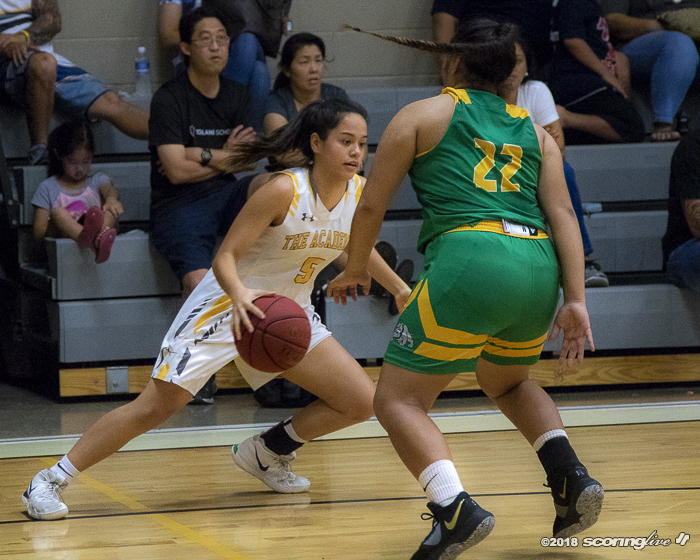 Dallas Martinez chipped in seven points, seven rebounds, three steals and four assists. 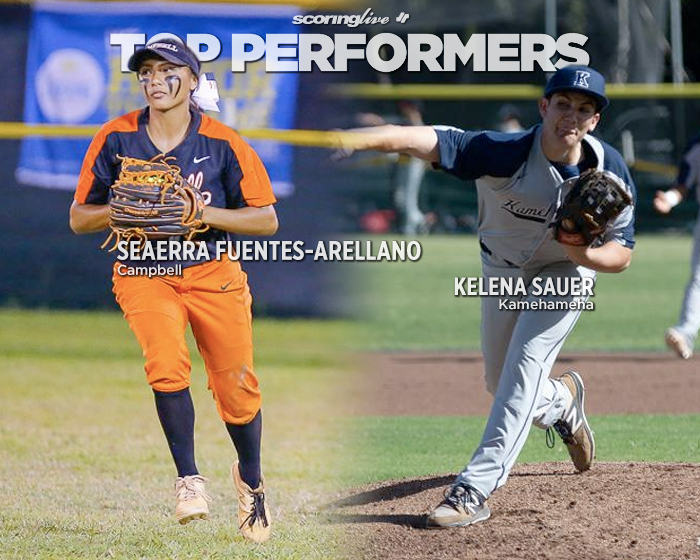 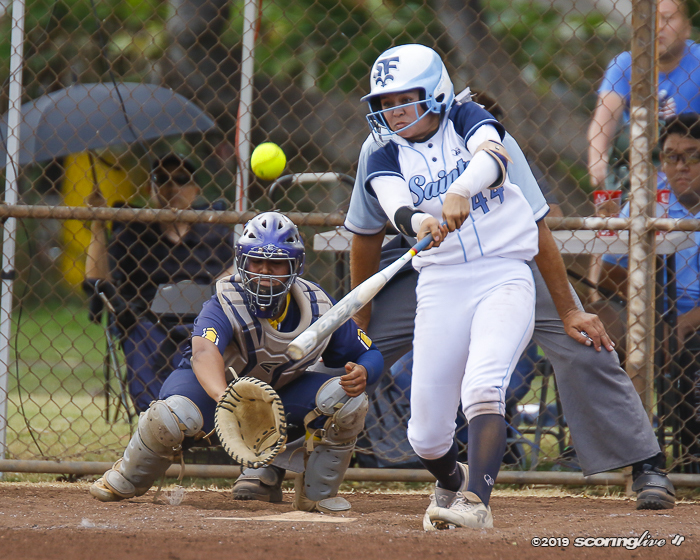 Kaimuki out rebounded Sacred Hearts 45 to 28, including 18 to 8 on offensive boards. 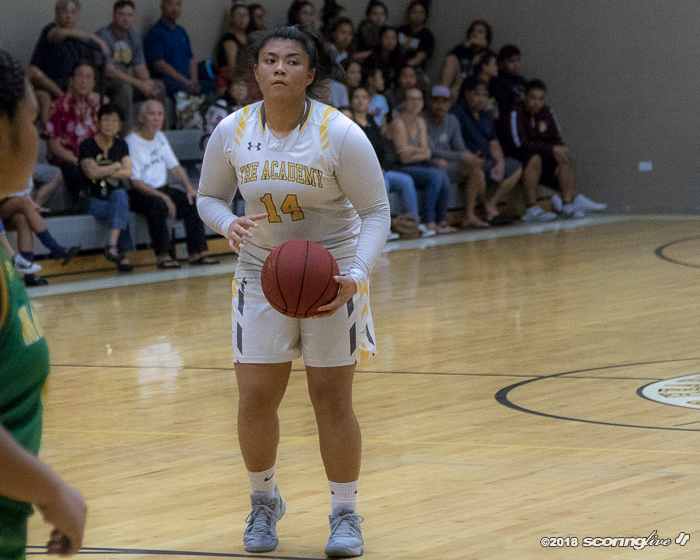 Kaelyn Espinda scored a team-high 15 points and Sonia Palik added 10 for the Bulldogs, who shot 15 of 45 from the field and 5 of 17 from behind the arc. 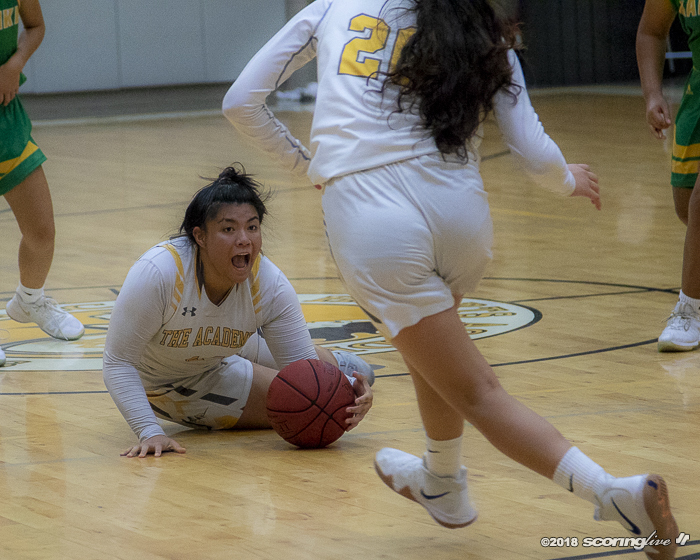 They made only five of their 15 free throws. 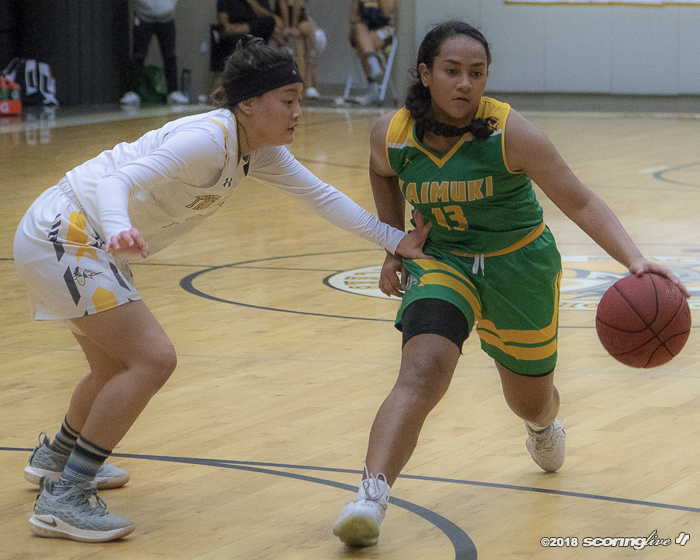 Espinda's bucket with 4:30 on the clock in the first quarter gave Kaimuki its only lead at 6-4. 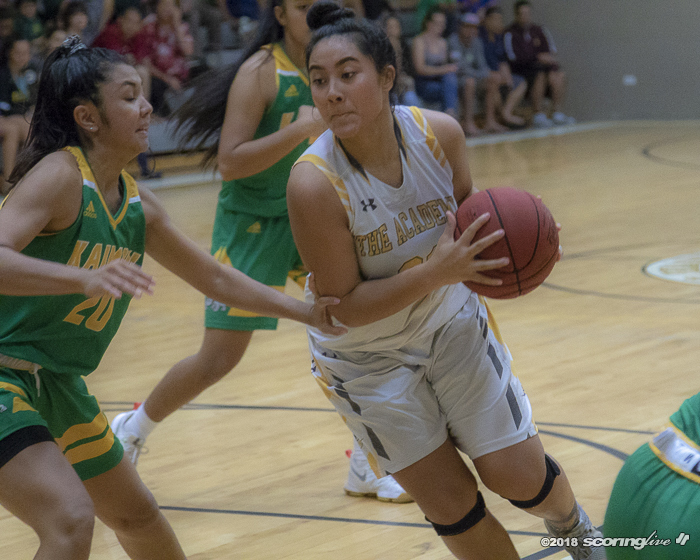 Sacred Hearts closed out the first quarter on a 14-4 run, spurred by Mahina Kaleihana-Erickson's putback and capped by Ryanne Burnett's basket inside, to take an 18-10 lead after one. 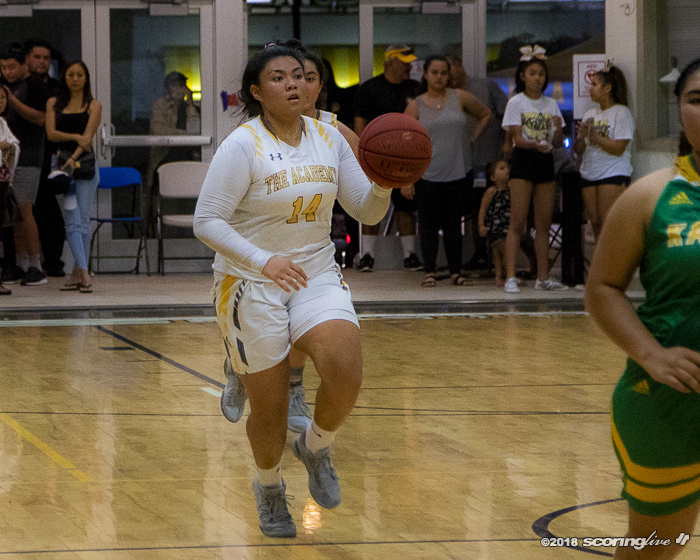 Palik hit a 3-pointer from the left wing on the Bulldogs' first possession of the second quarter to cut it to a five-point deficit. 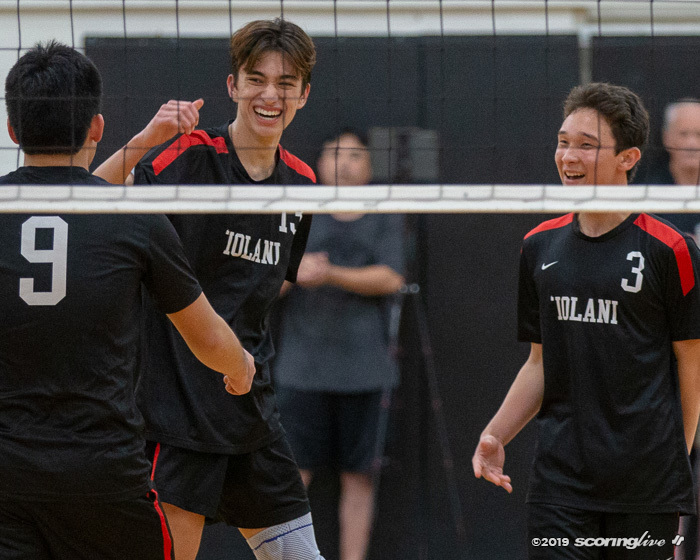 It ended up being their only points of the quarter. 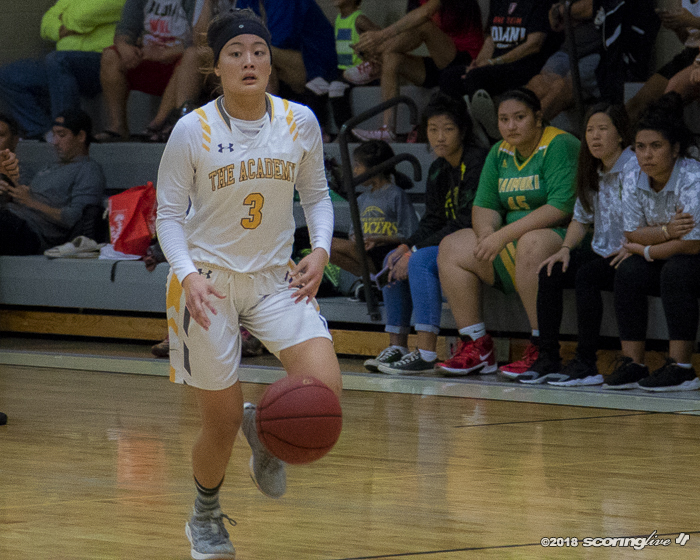 The Lancers took advantage and used a 13-0 run the rest of the way to seize a 31-13 lead by halftime. 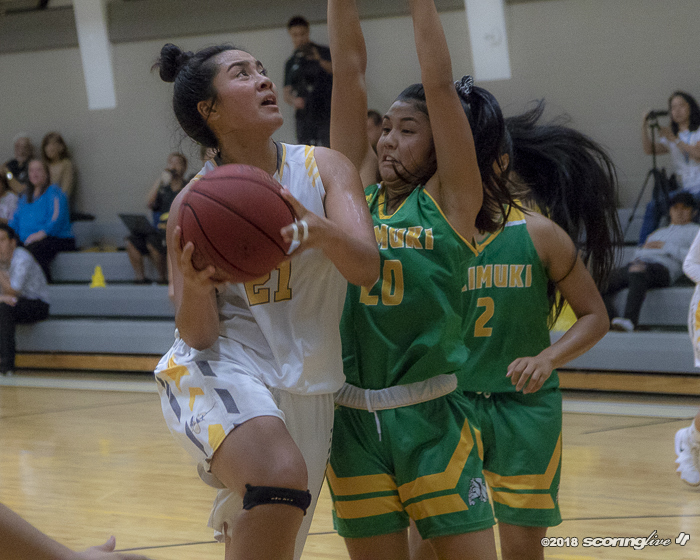 Sacred Hearts took its largest lead of the game on a Mizusawa putback with just under five minutes left in the third quarter, but Kaimuki closed to within 17 with a 12-4 run to close out the period. 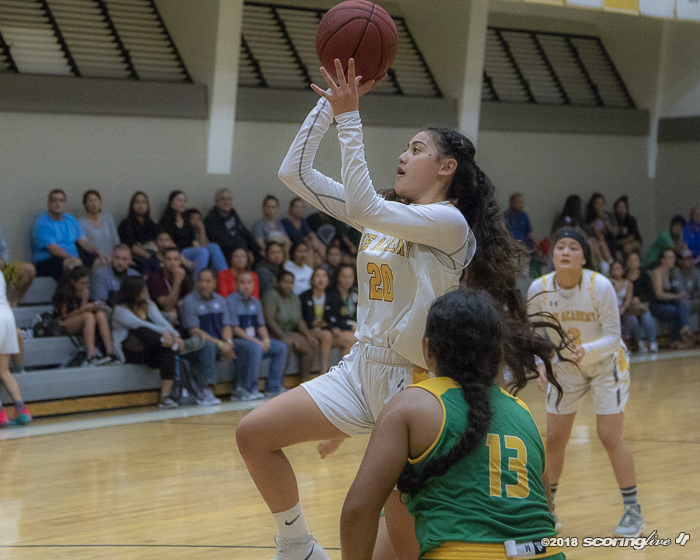 Espinda hit a deep 3-pointer from the left wing to cut it to a 48-36 lead with 4:31 remaining, but the Lancers scored 12 of the next 14 points to stretch their lead back to 60-38 on a pair of Kupau free throws with 1:51 to play. 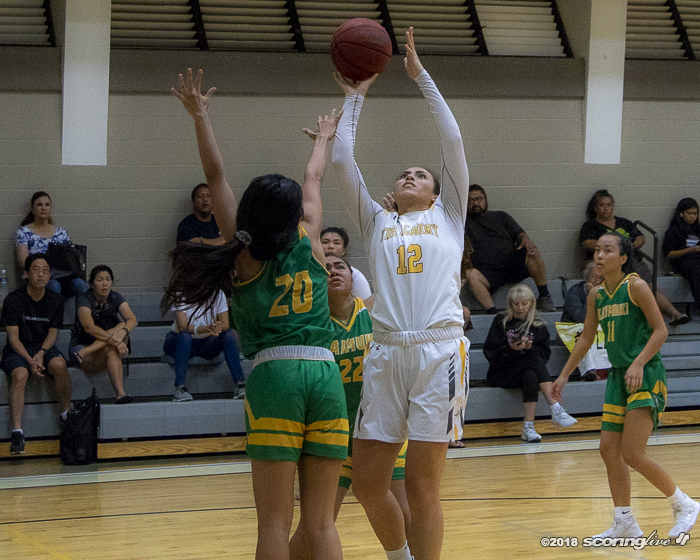 Sacred Hearts shot 11 of 20 from the free-throw line and 23 of 58 from the field. 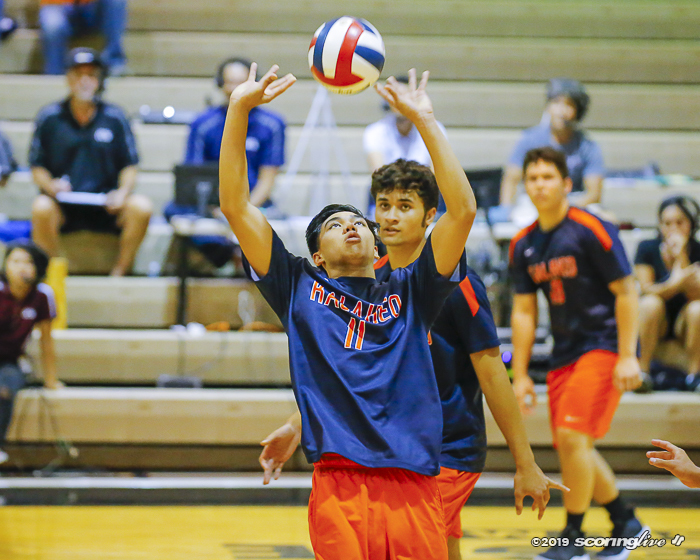 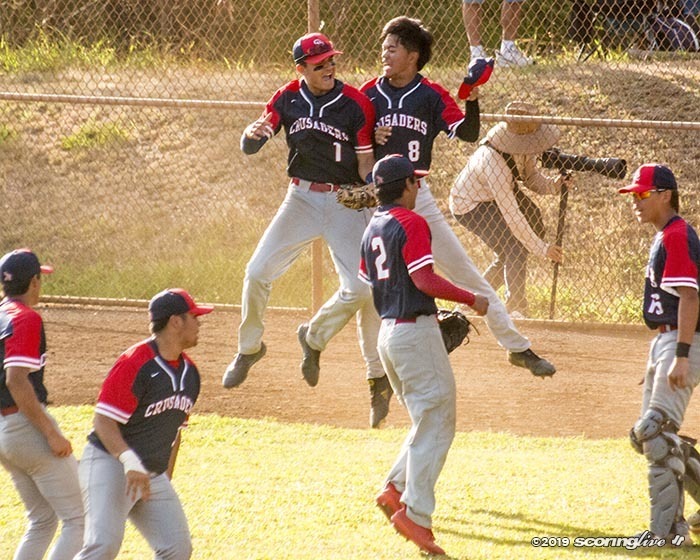 It will play Waiakea at 3 p.m. Saturday in the final day of the tournament. 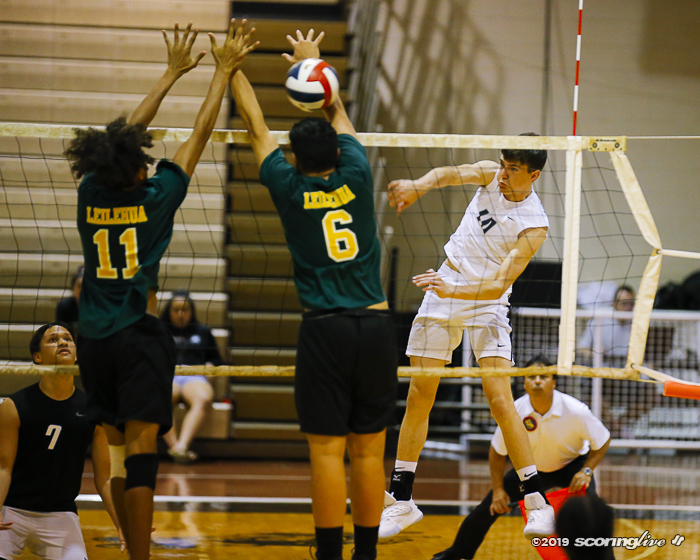 Kaimuki will take on undefeated Iolani in the game prior. 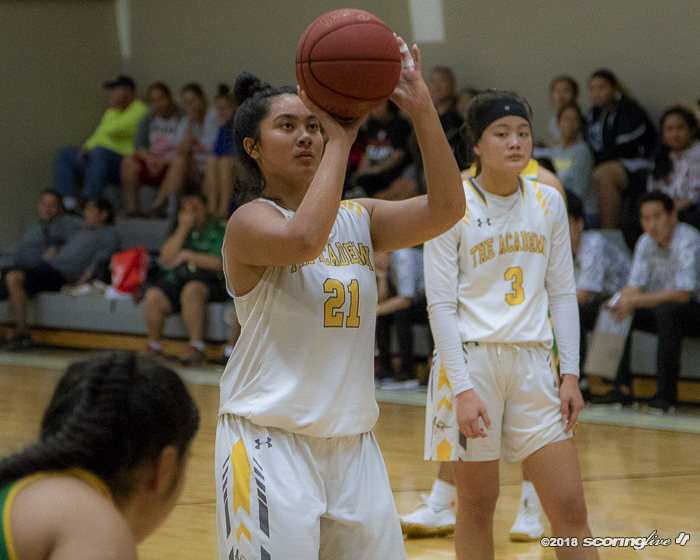 Tip off for that game is scheduled for 1:30 p.m.